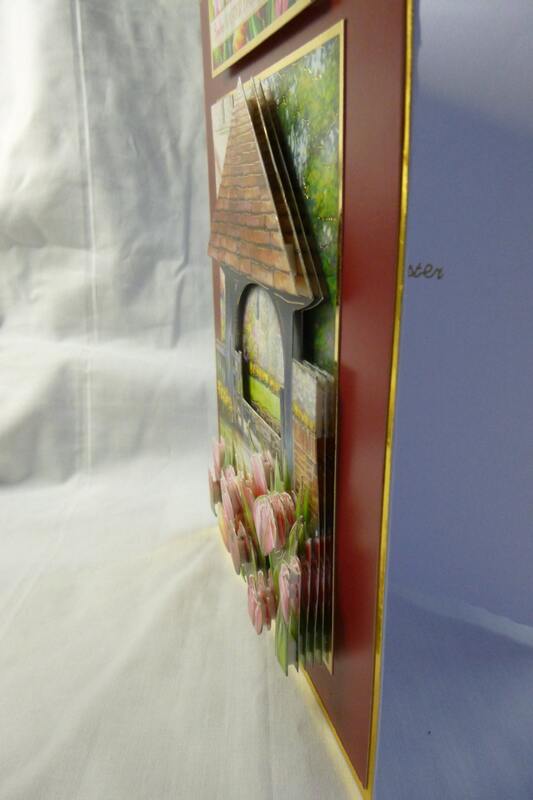 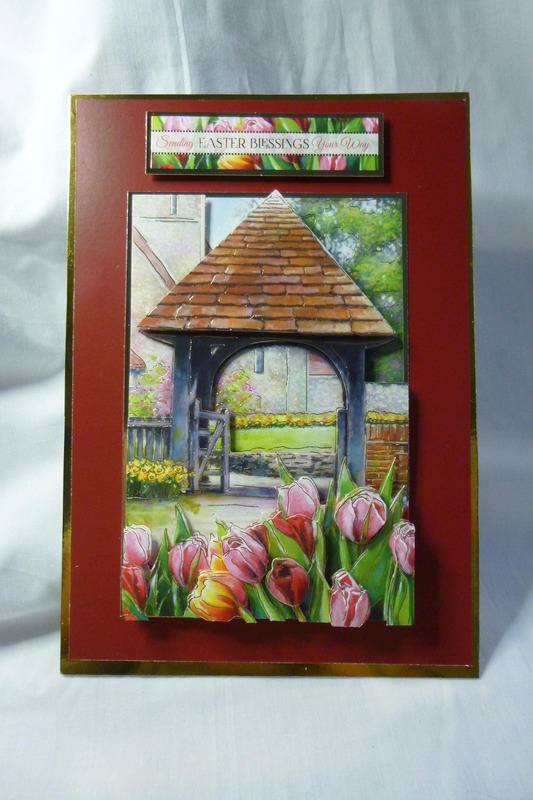 Easter greeting card, church entrance with 3D decoupage flowers, made from white card layered with gold card and dark red card, large topper in the centre with the 3D decoupage of the church and the spring flowers, at the top of the card is a sentiment which says, 'Sending Easter Blessings Your Way'. 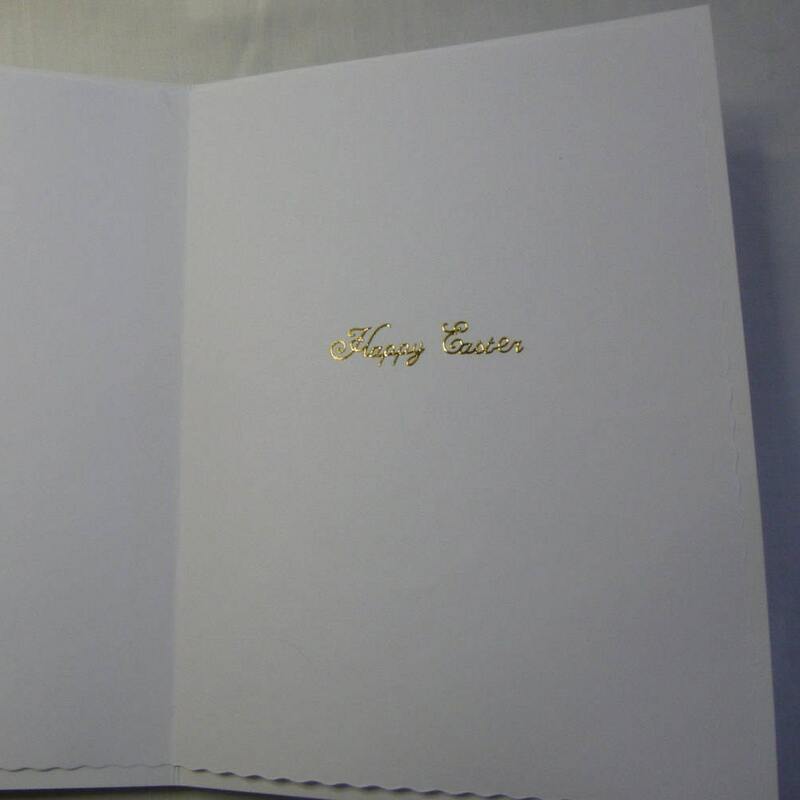 Inside the card is plain white insert paper which says, 'Happy Easter'. 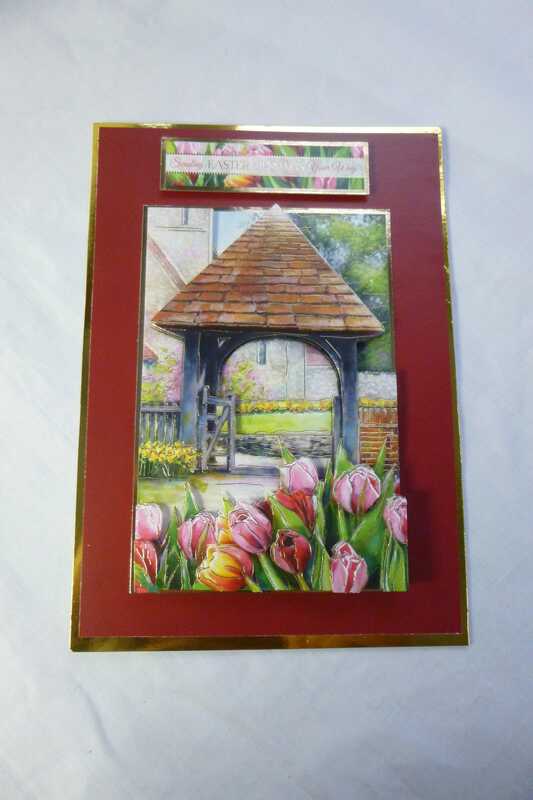 Beautiful Card - love this lady's work. 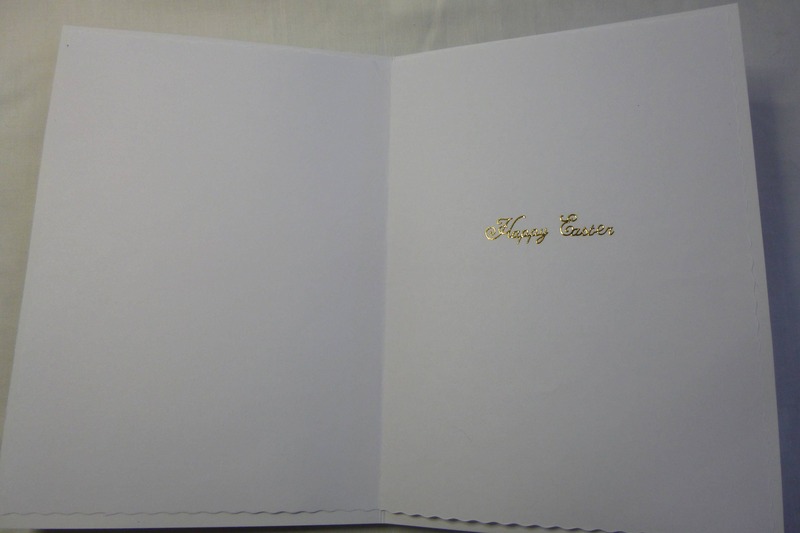 Can't wait to send this card to my good friend in the US!